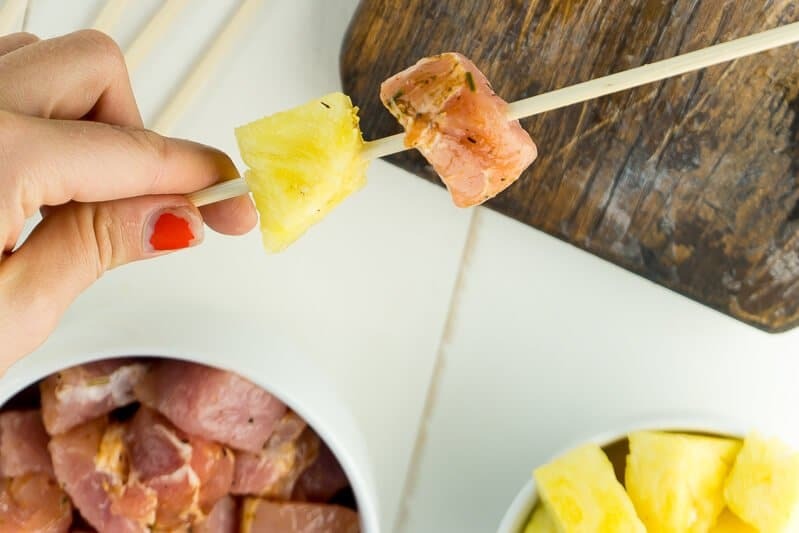 This Hawaiian pork and pineapple shish kebab recipe is perfect for any summer get together! 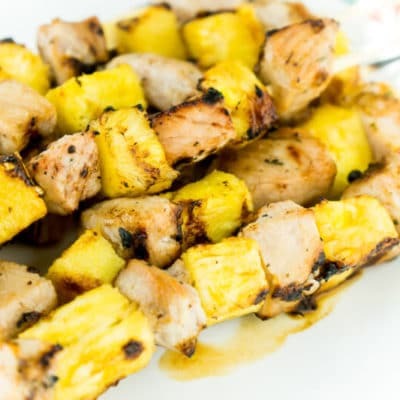 Use pre-marinated pork, add a little pineapple, and grill up for one sweet and tasty summer dinner. The entire plate full of kebabs will be gone in no time! One of our favorite things to do during the summer is grill. After grilling on a grill pan for way too many years, we finally bought a brand new gas grill to go with our new house and big backyard. And since we bought it a couple of weeks ago, we’ve already grilled for dinner like five times not including these Hawaiian Shish Kebabs! 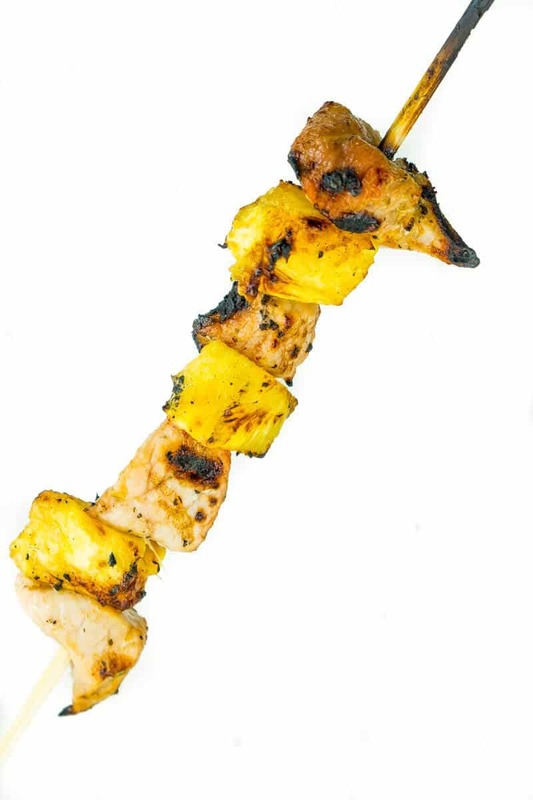 These Hawaiian Shish Kebabs just say summer to me. They remind me of something you’d eat at a Hawaiian luau or backyard pool party with the sweet glaze and the tropical pineapple. I recommend eating a bite of the pork with the pineapple to get the true effect. One of the key ingredients in this shish kebab recipe is the pork. I used Smithfield® Roasted Garlic & Herb Pork Loin Filet that I picked up at our local United grocery store because it saves you the time of marinating the meat yourself. There are a bunch of different flavors but I think the garlic and herb works best in this recipe since it’s a bit milder than the others. 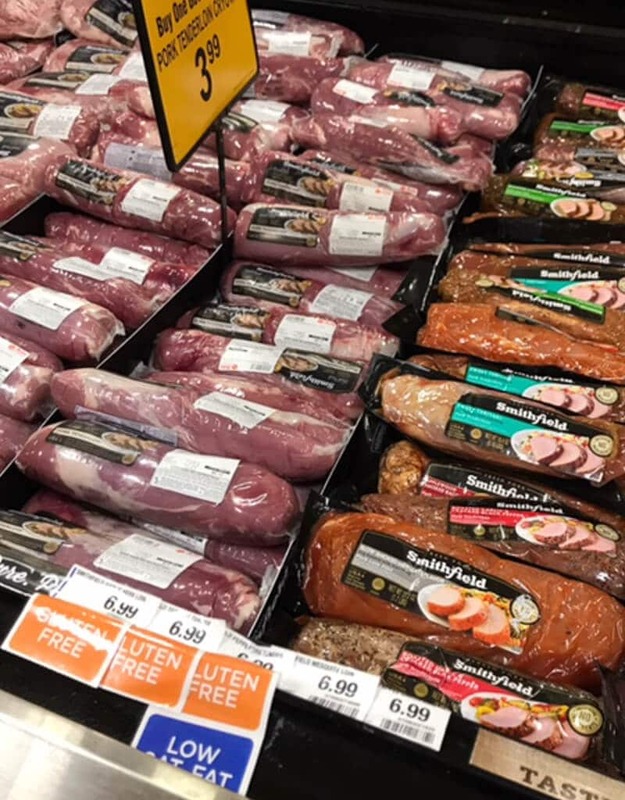 Simply grill, roast, sauté, or slow-cook Smithfield Marinated Fresh Pork for an easy and delicious meal your family will enjoy any night of the week. With the prep work already done for you, you can deliver real flavor, real fast. 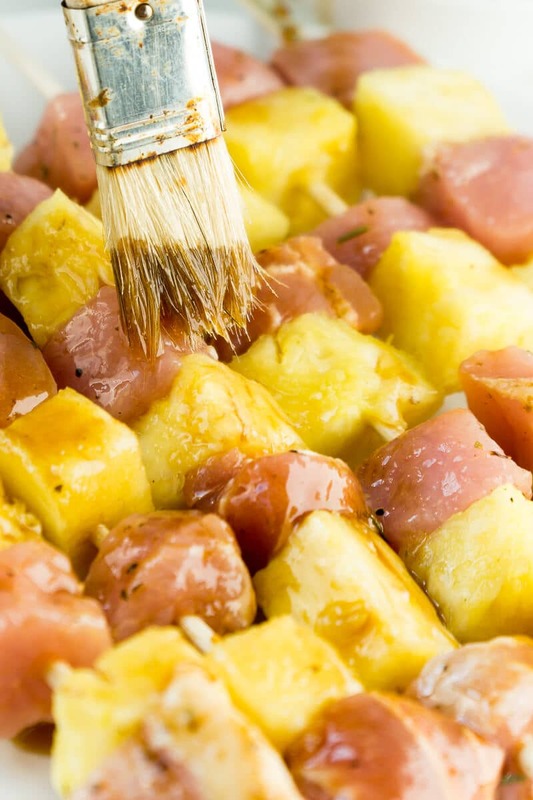 Along with the pork, I cut up chunks of pineapple and created a quick glaze to cover it all with coconut amigos (you can substitute with soy sauce), brown sugar, and ginger. The ginger adds a nice kick to the sweetness of the brown sugar, and it all works well with the marinade on the pork. This shish kebab recipe is so easy to make. 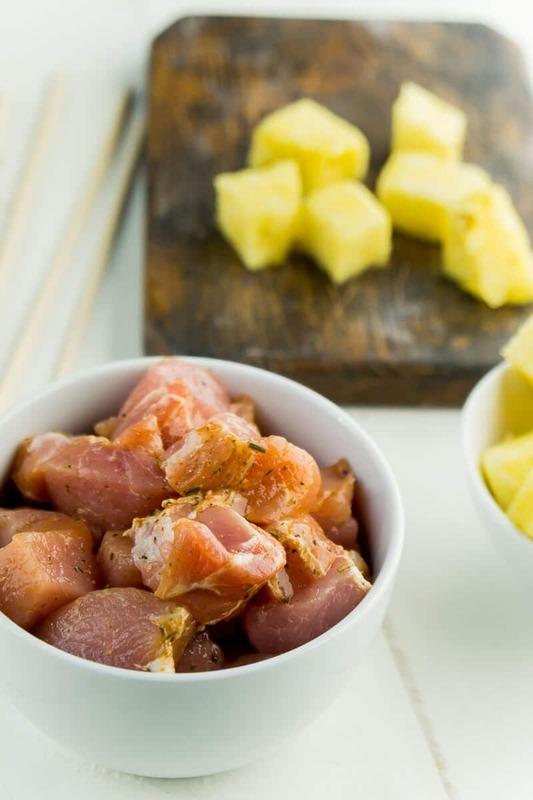 Simply cut your pork and your pineapple into similar size cubes. We did 1-inch so they would cook faster, but if you have a bit more time and want more meat on each kebab, feel free to use bigger chunks. Just make sure to cook for a bit longer and check the meat to make sure it’s cooked thoroughly before serving. Once the meat is chopped, skewer with either wood or metal skewers. Wood likely need to be treated beforehand so read your package before adding the ingredients onto them. If you’re hosting others, I recommend doing the wood so people can just throw them away. If it’s just your family or people you know well, go for the metal ones and just wash them after. Finish off the shish kebabs with a brush of the sweet glaze, making sure to get all sides! Then grill those babies up on the grill until the pork is completely cooked. I’d check at least one chunk of meat before taking them all off, typically your biggest piece of meat. Then enjoy one delicious summer meal! 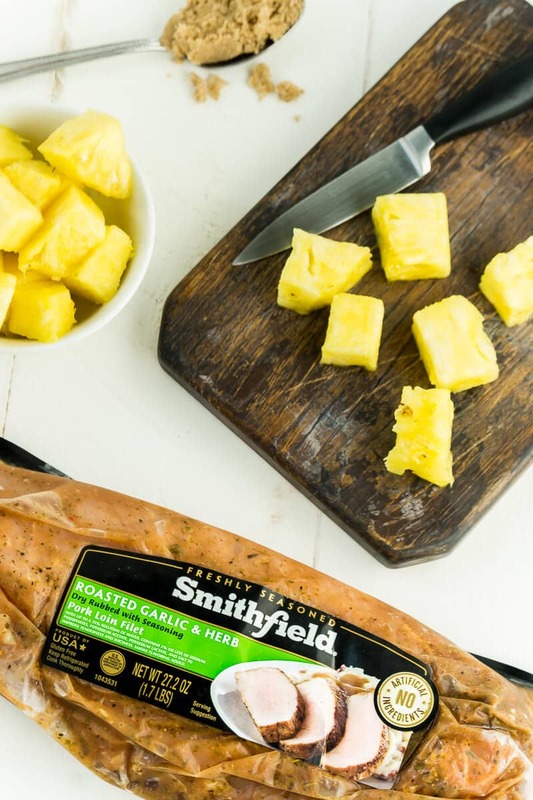 Smithfield wants to know how you could cook up the pork in under 30 minutes or less in an original recipe. Submit the recipe in their What Can You Do With 30 contest for the chance to win great prizes! Or just head to www.SmithfieldRealFlavorRealFast.com for other fantastic recipes you make in under 30 minutes. 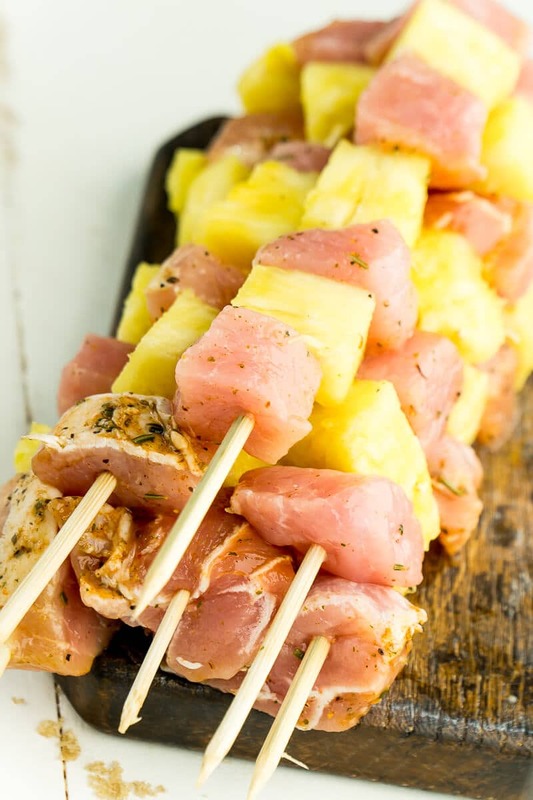 Skewer pork and pineapple on metal or wood skewers, alternating the meat and pineapple. Mix brown sugar, coconut aminos, and ginger together until completely combined. Use basting brush to coat skewers on all sides. Grill on medium-high heat for 5-6 minutes on each side, until cooked thoroughly. Tried this recipe?Mention @playpartyplan or tag #playpartyplan! 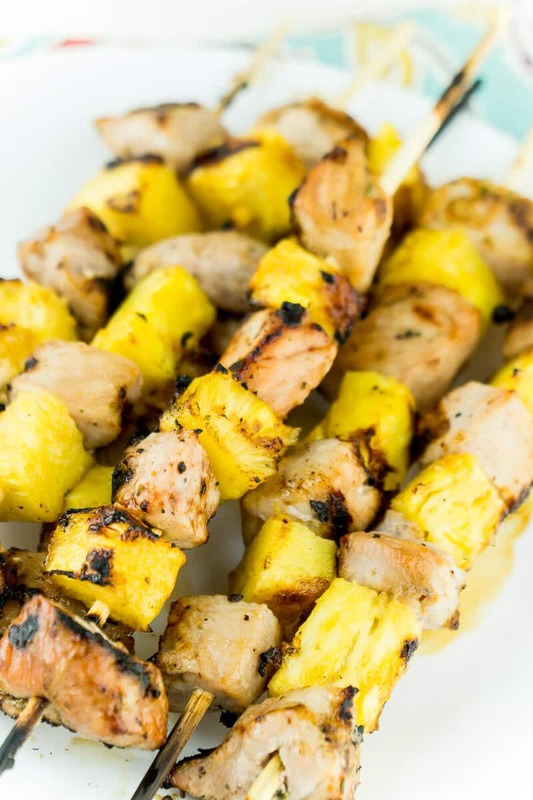 Don’t forget to pin this Hawaiian shish kebab recipe for later! Love this fun kebab recipe! The pork and pineapple pair perfectly. 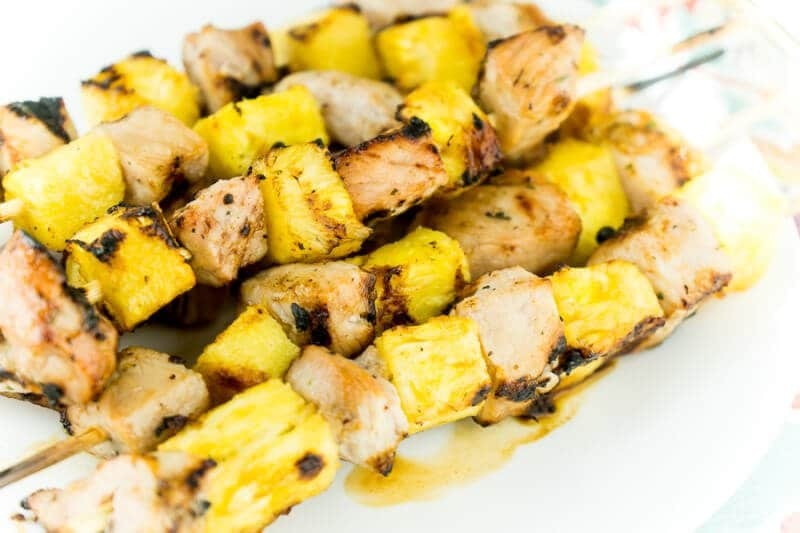 These Hawaiian Pork Shish Kebabs are a new favorite! The pineapple pairs so well with the pork!